New month, new inspiration from the Leverage Creative team. 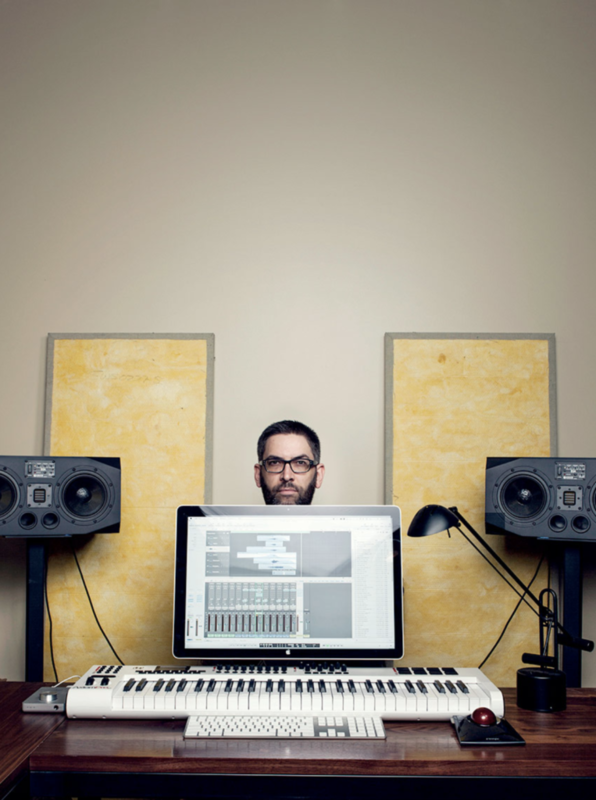 But first, be sure to check out last month’s creative inspiration post if you haven’t already. 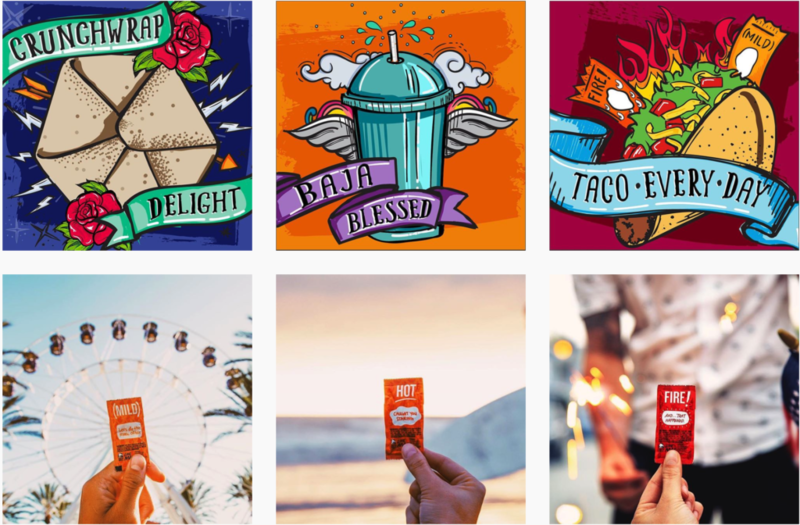 This month, we’re sharing creative ideas for marketing that encompass graphic design, photography, videography, organic and paid social media, and tomato-filled direct mailers. Let’s dive in. To save you from the suspense, let’s start with this unique direct mail example that was created for LavOnline, an online laundry service in Italy. With low awareness levels around online laundries, this business needed to stress its two main benefits: speed and simplicity. 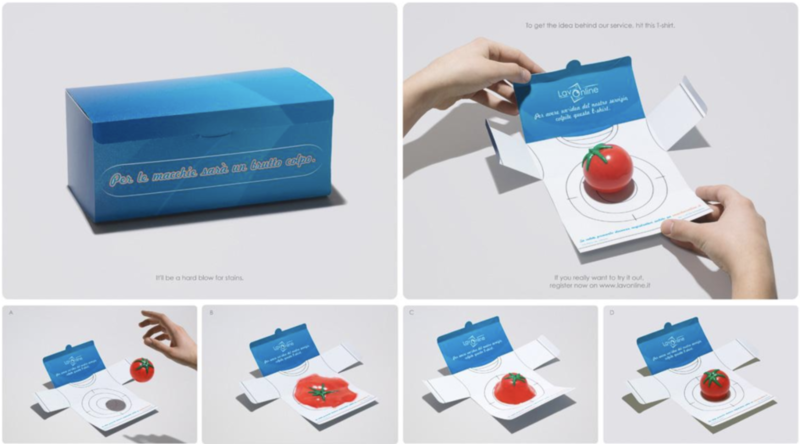 They cleverly did this by sending a fun and engaging direct mail piece that instructed recipients to throw a special tomato at a T-shirt in order to get the idea behind their service. The tomato is actually a special type of ball that splatters upon impact, but quickly reforms into its original shape. The results were impactful. Within 4 weeks 32% of the recipients went to the LavOnline site and registered, and 8% tried the service. 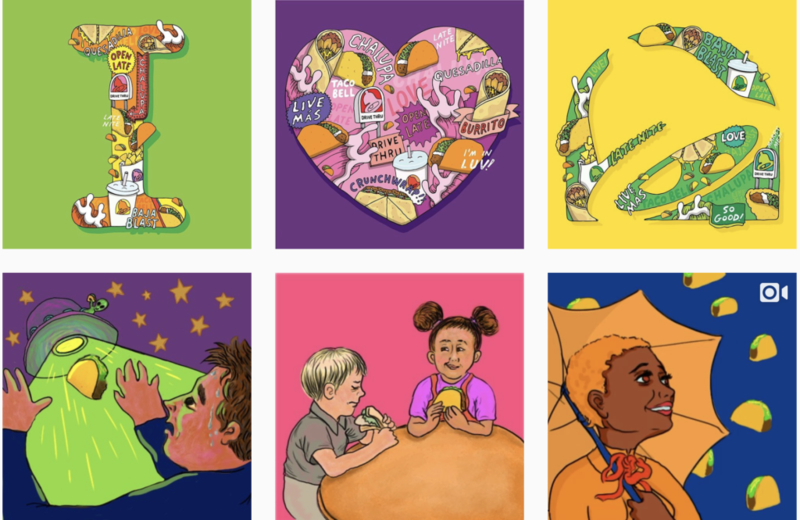 One of our graphic designers, Rachel, found a treasure trove of clever designs that are pretty much impossible not to engage with. See a couple of our favorites below, and check out this Canva article to see all 71 inspirational ads. 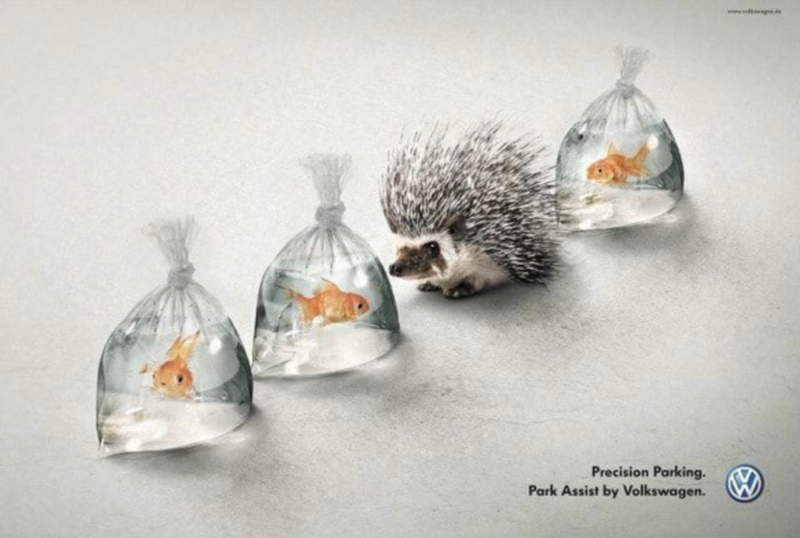 Volkswagon didn’t even need to show their product to clearly (and humorously) convey how their cars can help consumers. 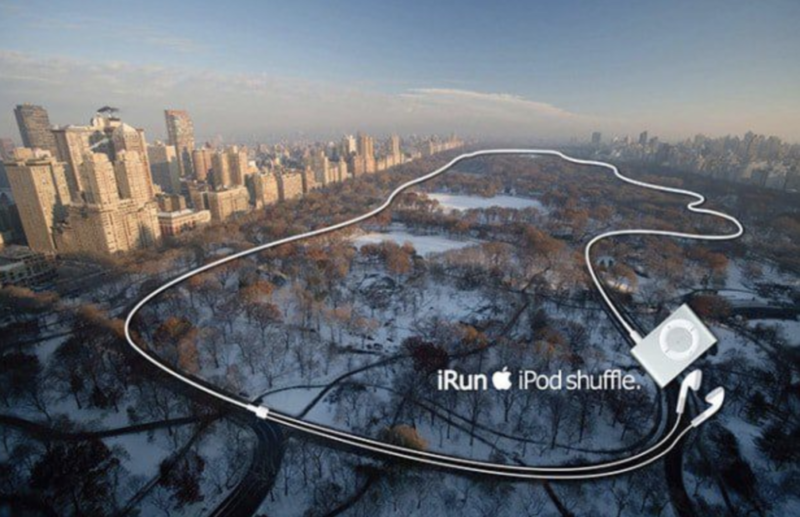 Apple creatively displayed their product to illustrates what consumers can use it for. 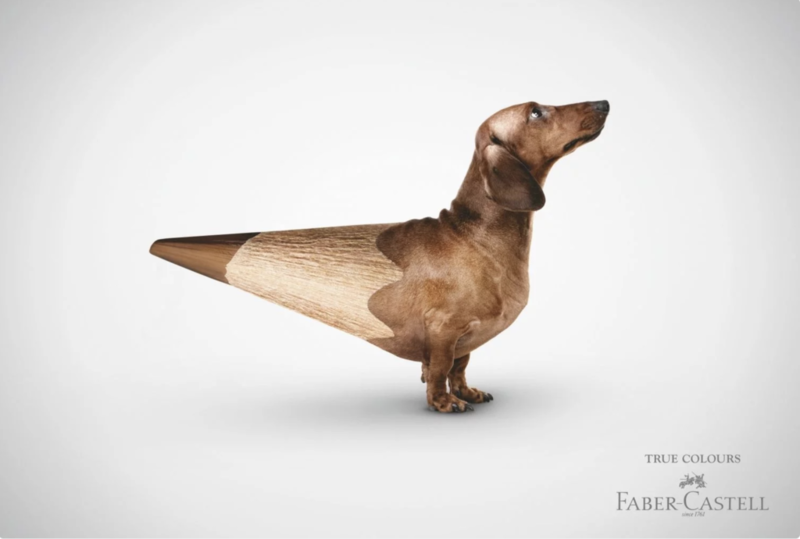 Faber-Castell used animals to showcase how much their “True Colours” colored pencils match real-life. Social media paid ads are one of the newest tools in a marketer’s tool belt. If executed correctly, they are able to reach highly targeted audiences in mass numbers. 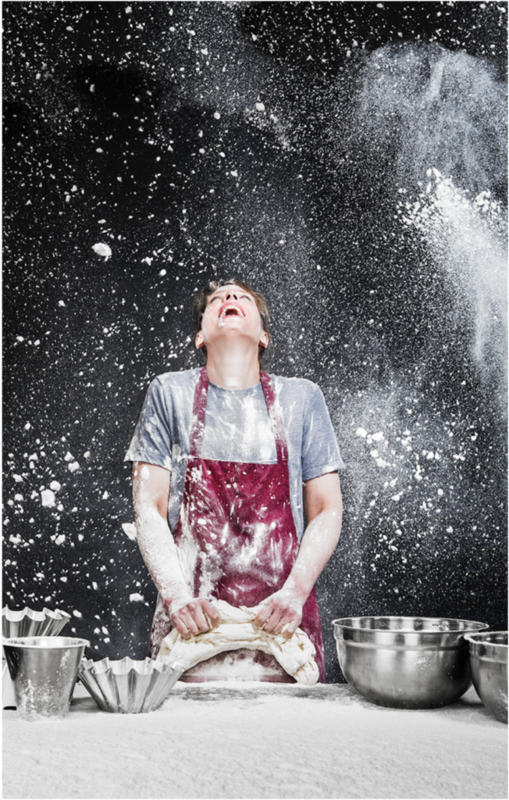 But, don’t make the mistake of spending so much time on the segmenting part that the content you deliver falls flat. 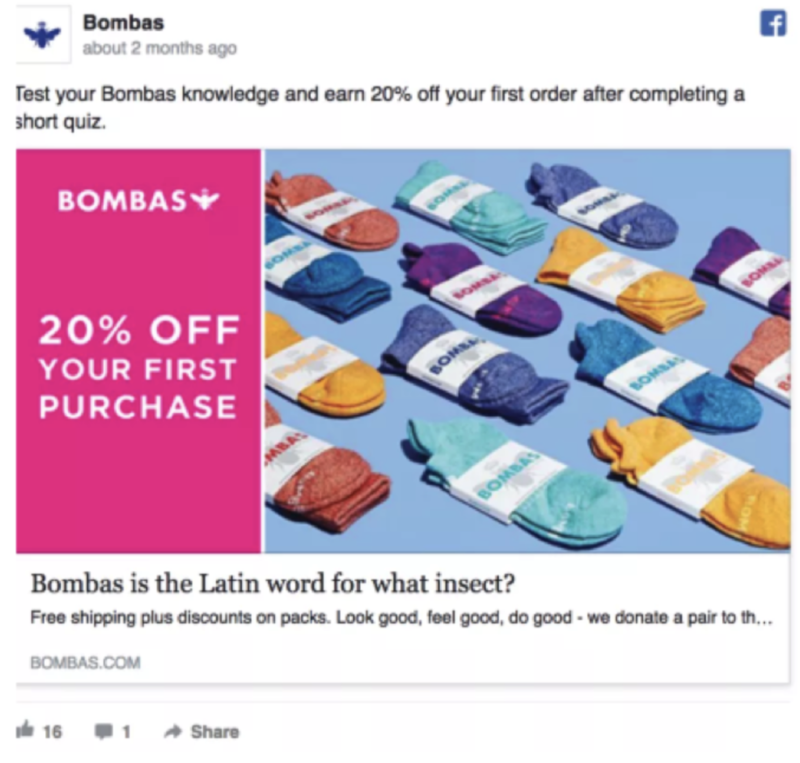 In the example below, Bombas, a sock company, serves up a traditional first purchase discount offer with a twist. By positioning the ad as a quiz, viewers are challenged to test their knowledge. This is an intrinsic motivator for just about any human and, if acted upon, the time investment it requires creates more of a reason to actually use the discount. And if all else fails, at least it’s solid brand awareness. Next up is a creative take on traditional corporate portraits. On top of the outside-the-box thinking that these shots involve, they also require a strong ability to work well with people. A great photographer is able to effectively direct people and time everything out in order to tell a story years in the making, within a single snapshot. The takeaway? Emotion connects with audiences no matter what team they’re on (or industry). Convey that emotion through video and you set your brand up for widespread awareness. Hopefully, a few of these examples sparked inspiration for your next marketing campaign. If you’re looking for a partner to strategically align and implement a marketing campaign for your business, leverage us. We’re the client engagement experts you’ve always dreamed of.